Fans of British singer Morrissey have the chance to win tickets to his almost sold-out tour of the UK and US with PETA. 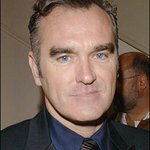 The charity has 21 pairs of tickets to Morrissey concerts to give away in celebration of the release of his new album, Years of Refusal. The former lead singer of The Smiths has been a long-time advocate of vegetarianism and animal rights, and was honored by PETA with the Linda McCartney Memorial Award at their 25th Anniversary Gala on 10 September 2005. A vegetarian since the age of 11, Morrissey inspired a whole generation of vegetaians with The Smith’s 1985 album, Meat Is Murder. For your chance to win tickets to the concert of your choice, click here. The competition ends on May 30.